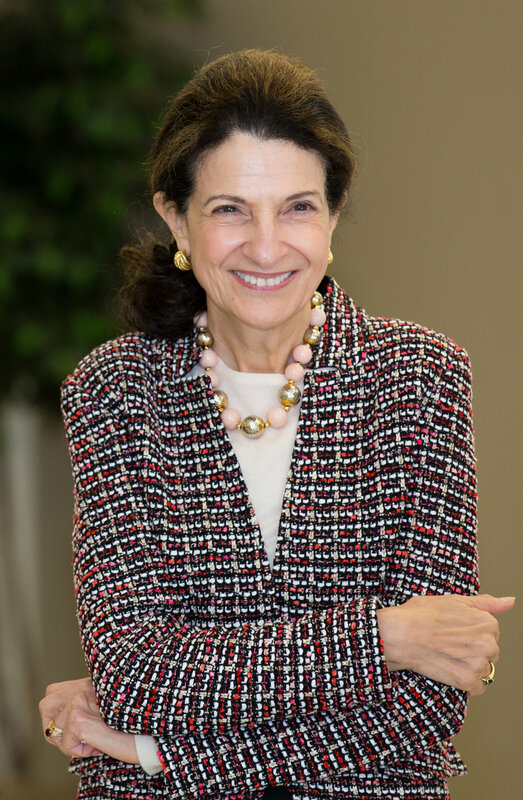 Former United States Senator Olympia J. Snowe (R-ME) served in the U.S. Senate from 1995-2013 and the U.S. House of Representatives from 1979-1995. She is currently tied as the fourth-longest serving women in the history of Congress. Among her major legislative achievements are critical advancements in women’s health and research as Co-Chair of the Congressional Caucus for Women’s Issues, the “E-Rate” to connect every school and library to the Internet, and expanding access to the Child Tax Credit to help millions of American families. In the Senate, she was both Chair and Ranking Member of the Small Business Committee; the first Republican woman to secure a full-term seat on the Finance Committee, the first woman to chair the Armed Services Subcommittee on Seapower, and a member of the Senate Commerce, Budget, Foreign Relations, and Intelligence Committees. Renowned for her results-oriented bipartisanship, she co-chaired the Senate Centrist Coalition from 1999-2006. In 2005, she was named the 54th most powerful woman in the world by Forbes magazine. In 2006, Time Magazine named her one of the top ten U.S. Senators. Snowe is a member of the corporate Boards of Directors of T. Rowe Price Group, Inc., Aetna, Inc., and Synchrony Financial. She is a Senior Fellow and Board Member at the Bipartisan Policy Center and Co-chair of their Commission on Political Reform; Co-Chair of the Advisory Board of Square Roots; Chairman and CEO of Olympia Snowe, LLC; and member of the Board of Directors of the Commission on Presidential Debates, the Board of Trustees of the Kaiser Family Foundation, the Senior Advisory Committee of Harvard University’s Institute of Politics, the National Institute for Civil Discourse’s Board of Advisors, the National Governors Association’s Health Advisory Board, the Advisory Board of the Peterson Center on Healthcare, and the Board of Directors of the Olympia Snowe Women’s Leadership Institute.